Make sure you are getting all the tax deductions you are entitled to! Order this complete #1 best-selling tax resource on our website! Use the right entities that save you the most taxes; is audited least by IRS; best protects you from lawsuits, with the least cost & complexity. Save thousands! How beginning investors can deduct Real estate education, travel, other expenses, even if they have not yet closed on an investment property. Avoid the 80% of inept CPA's who give wrong costly advice, expose you to audits and charge high fees. "The Goldmine is the most comprehensive well put together real estate course I have seen. It has saved me over $4500.00 this tax year already. I'd say that's a good return on my money. Better than even my best real estate deals. You really break it down so the average guy can understand and sort it out. Al, I can't thank you enough"
Click to read more reviews by other real estate investors plus see the full blown description of this comprehensive money saving tax resource plus bonuses, that you will receive, including a complete bonus course. All total, you will receive 22 audio CDs and nearly 30 hours of training with a total value of over $6,000 offered for MrLandlord.com visitors for only $997! 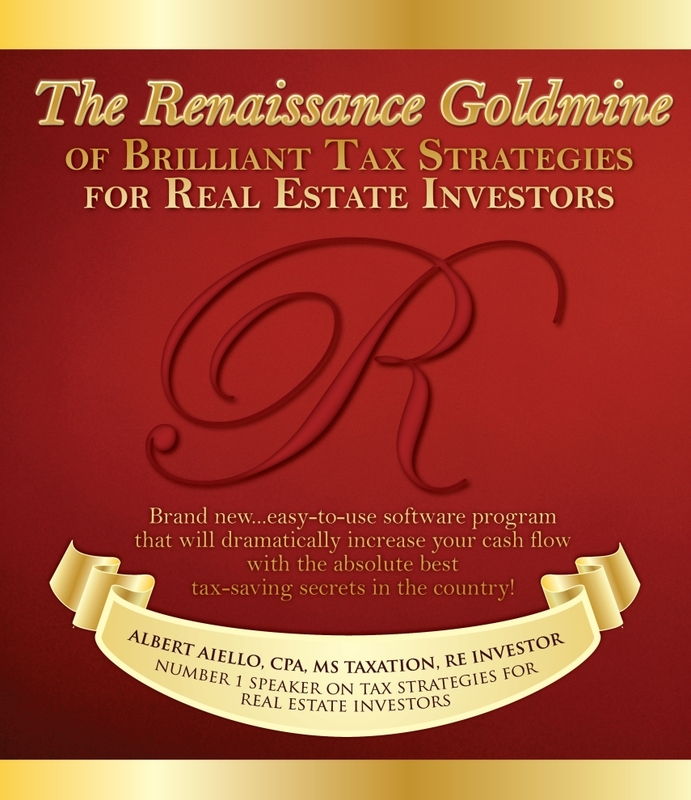 Order now to request your copy of the complete Renaissance Goldmine Brilliant Tax Strategies along with your complete set of CDs.